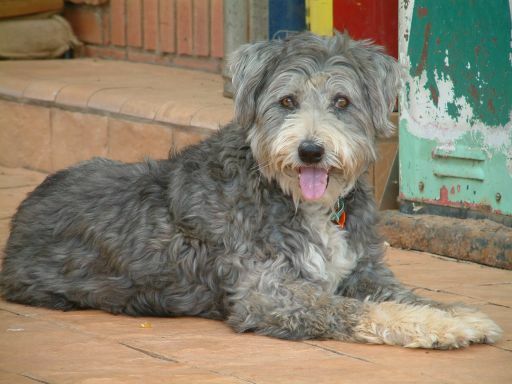 Ms. Jeannie’s neighbor has a lovable little dog named Belle who has taken, on her own accord, to come visiting Ms. Jeannie everyday. Ms. Jeannie loves seeing her furry little face at the door in the morning, especially because Ms. Jeannie’s beloved border collie passed away this winter, and she has been dogless since. 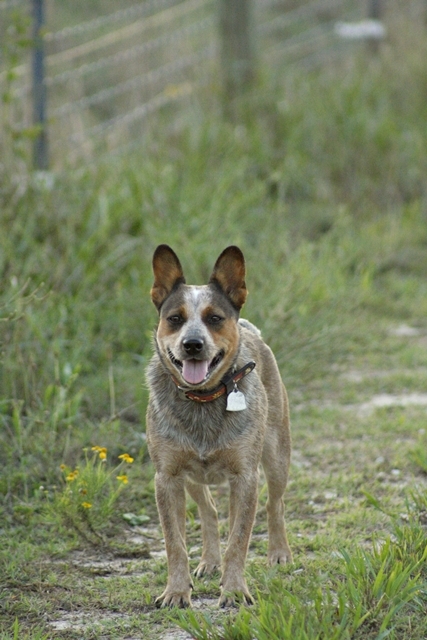 Belle is a blue heeler, which means she is incredibly smart, just like Ms. Jeannie’s border collie was. She is a herder by nature, so Ms. Jeannie’s two cats now get a little more exercise than they did before! 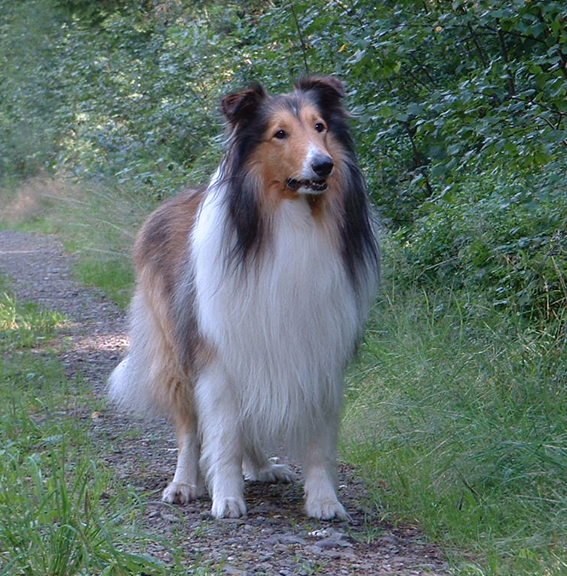 Ms. Jeannie can’t help but wonder… was Belle brought into her life to help “heal” the sense of sadness Ms. Jeannie felt over losing her border collie? 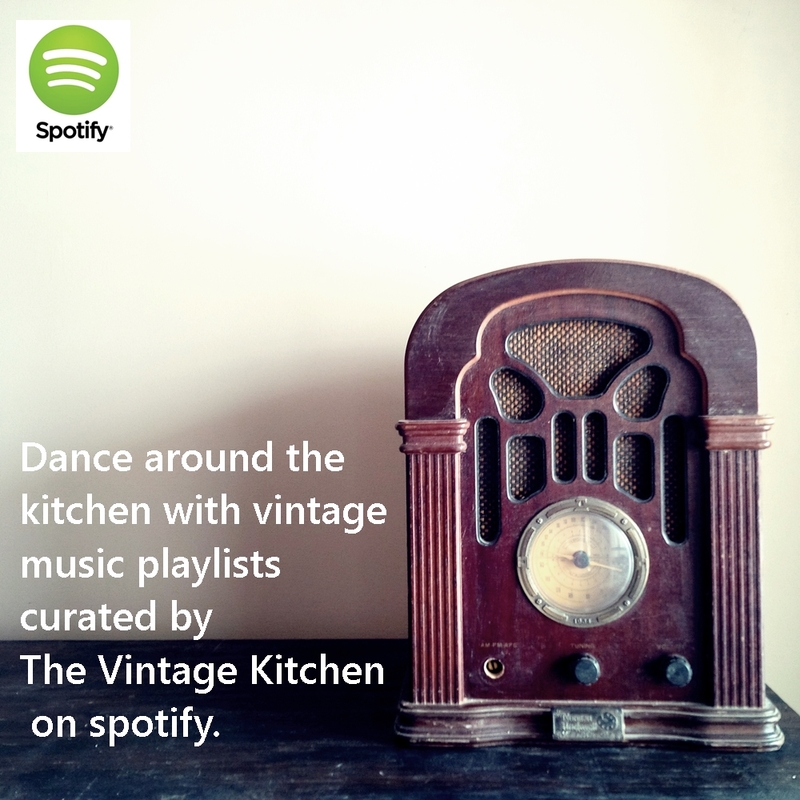 Ironies like this in life seem like lovely reminders that, perhaps, everything does happen for a reason! Belle likes to lay in the sunshine next to Ms. Jeannie’s garden and keep her company while Ms. Jeannie weeds and putters about. Ms. Jeannie always keeps a couple dog treats in her pocket too – you know, in case Belle gets a little snacky. Belle lives with two other dogs, both boys, so Ms. Jeannie thinks she likes to come over to get a little girl time in. Like a mini vacation layered in peanut butter. Ready for a fun adventure! 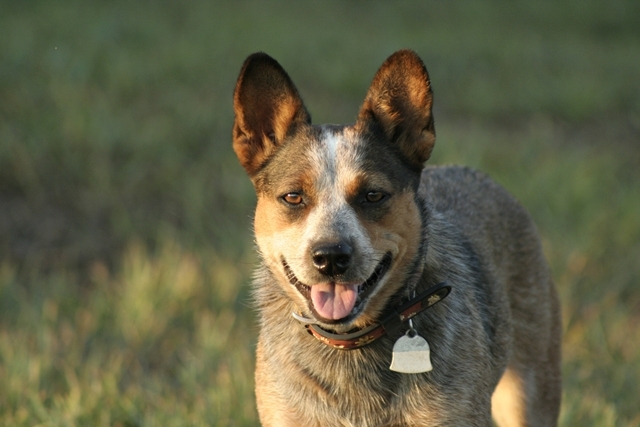 Blue heelers, also known as a Australian Cattle Dogs were originally bred by homesteaders in the Australian outback. 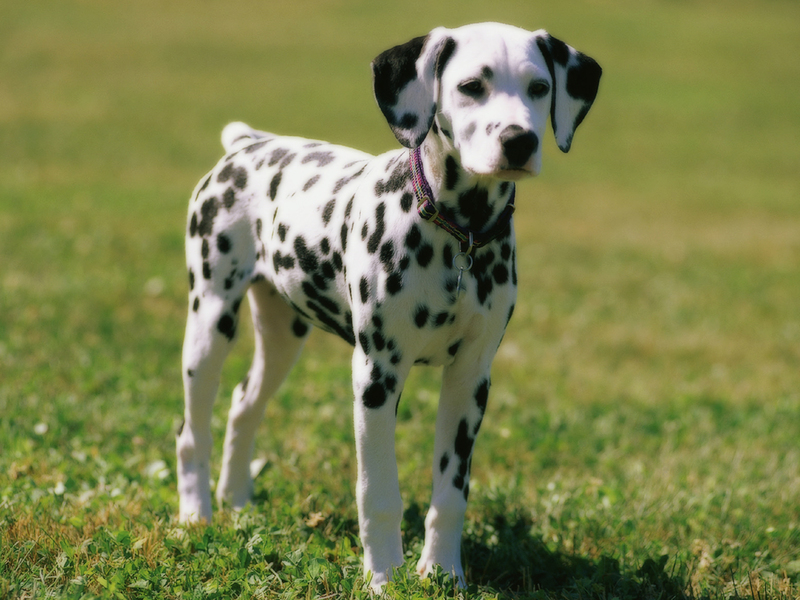 They needed a durable type of dog that could withstand harsh weather conditions and austere environments. 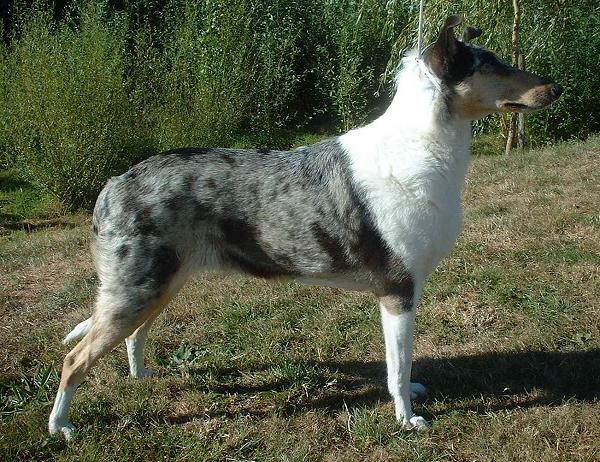 Their first attempt at creating such a bred was to cross the Smithfield collie with an Australian dingo to see if that would produce good durable offspring. 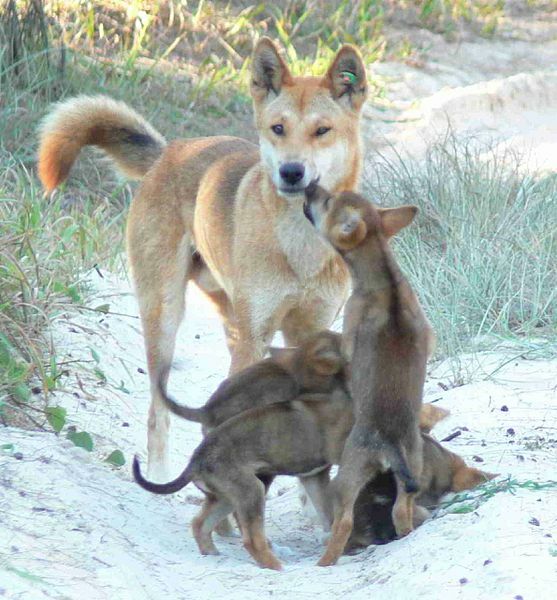 Unfortunately this match produced red pups that were a little overzealous in the biting department and wound up killing their herds instead of just rounding them up. But this union just produced dogs that barked so much they stressed the cattle to the point where cows were losing weight instead of gaining weight. 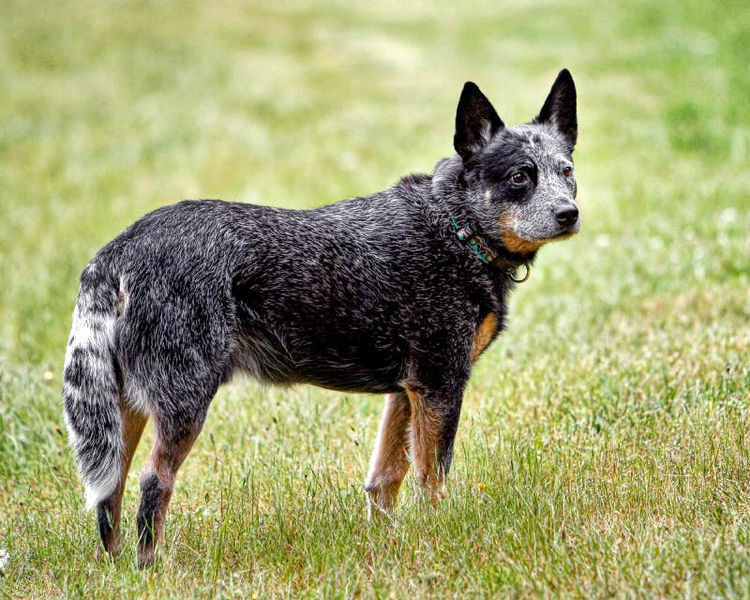 In 1840, Englishman Thomas Hall bred a blue smooth coated collie with a dingo and deemed it a success, naming his breed Hall’s Heelers. 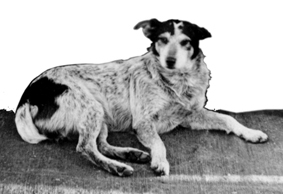 But brothers Jack & Harry Bagust thought that they could still improve upon the Thomas Hall’s creation, so they bred a Hall’s Heeler with a dalmation. 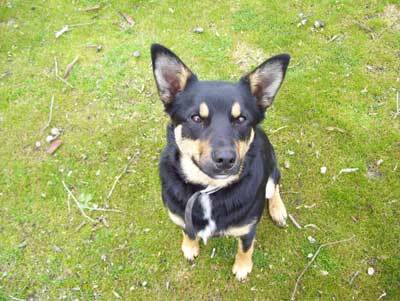 Australian Kelpie. Photo courtesy of Robyn and Tony’s Pet Sitting Service. 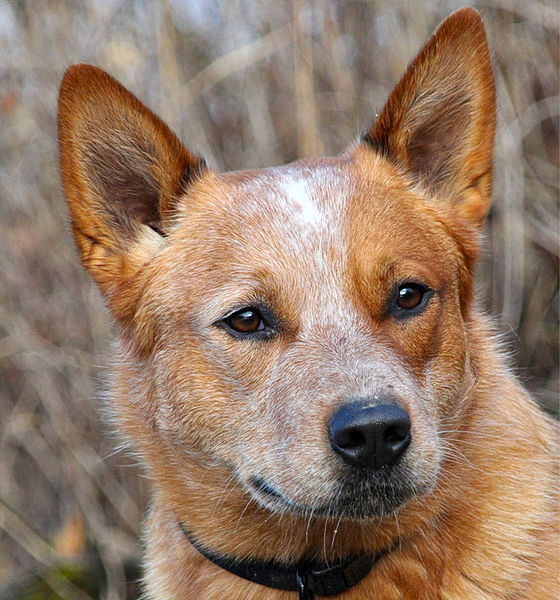 A little more breeding with dingos produced the blue heeler and the red heeler we see today. Ms. Jeannie suspects Belle might contain a little Welsh Corgi also. 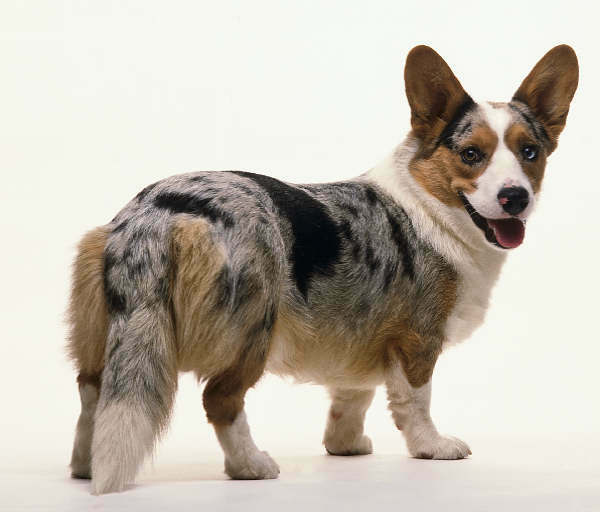 They have similiar markings and a long body shape, and while Belle is taller then a typical Corgi – Ms. Jeannie thinks their faces are similiar. What do you think? All in all, at the end of the day, Belle’s genealogy looks a lot like Ms. Jeannie’s, a little bit of everything from here and there! 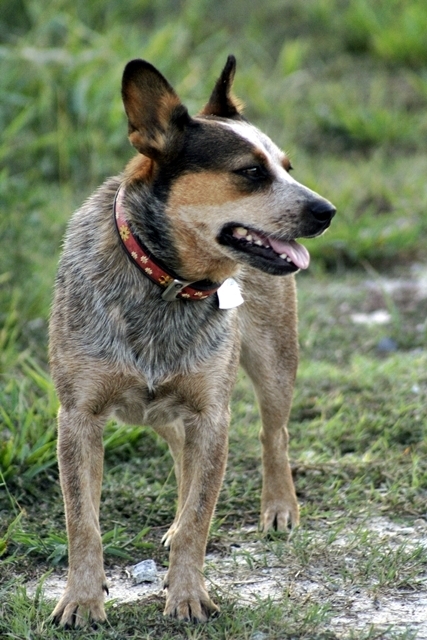 Blue Heelers have there own presence on Etsy too. 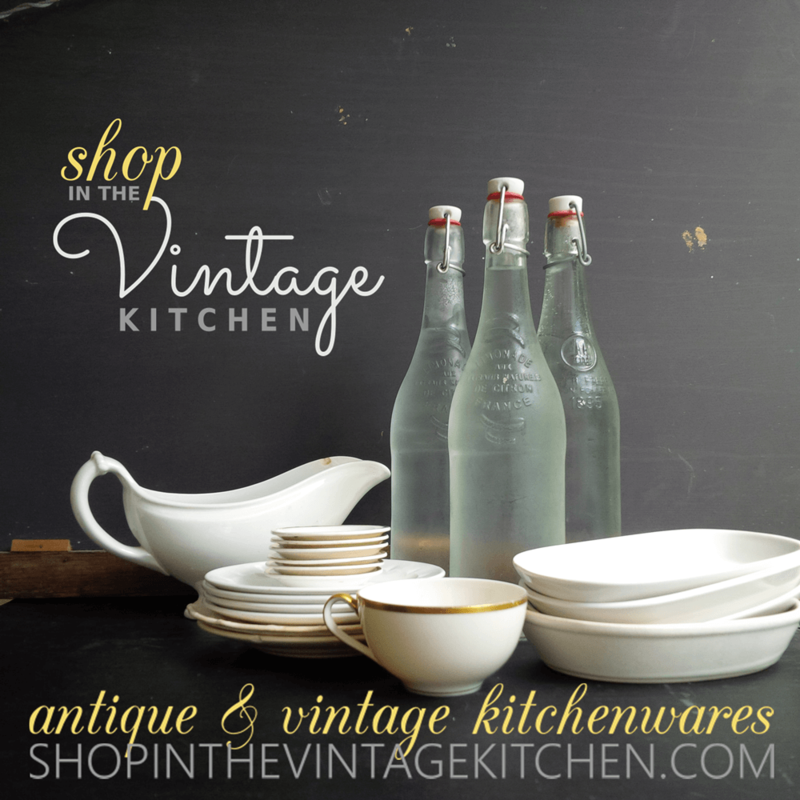 The following are some of Ms. Jeannie’s favorites. 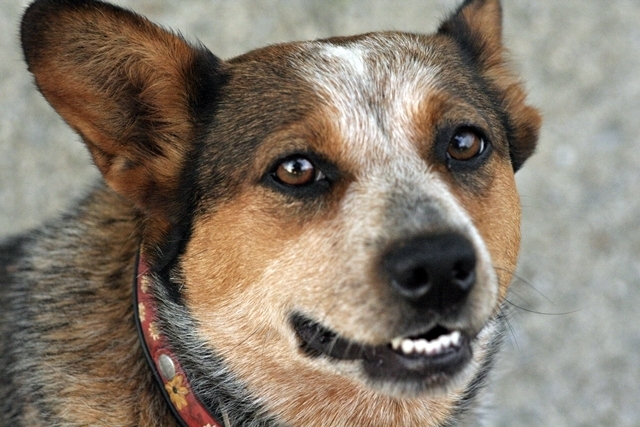 Click on each picture to find more Heeler themed items from each artists shop! 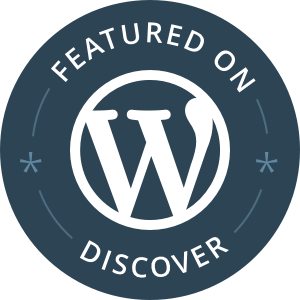 Oh, thank you my dear, for the lovely comment!